Rose would have to be one of my all time favourite flavours. This is a lovely old fashioned recipe I have had for years to make a rose cordial which can be mixed with water, sparkling mineral water or lemonade (US readers insert 7up or other clear soda type drink here). Just perfect for a Mother's Day afternoon tea refresher. 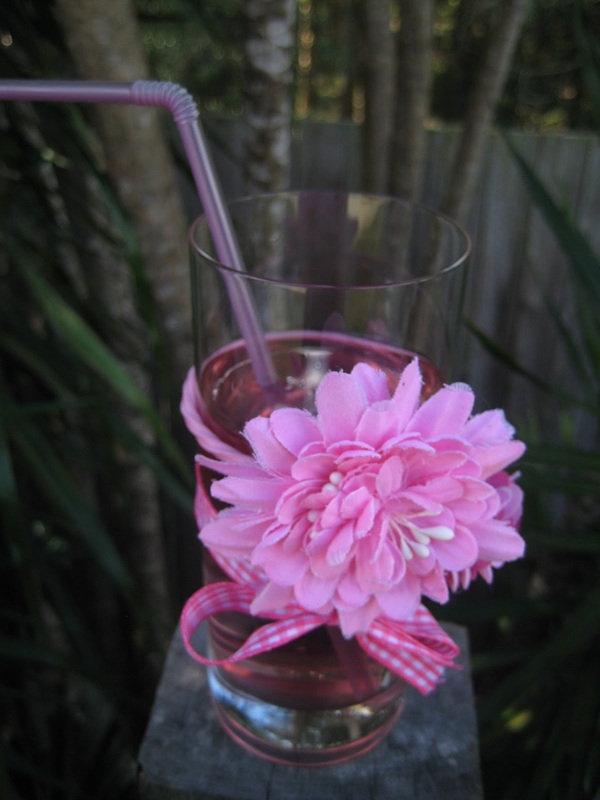 Or if you have young kids it makes a lovely 'Rosey Tea' just right for a Wiggles inspired Dorothy tea party. 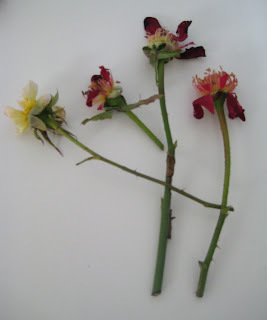 Take 4 pesticide free red roses (roses from your garden which have not been sprayed are suitable) and remove the petals. Try to use fragrant roses. One of my roses was apricot not red, but try to use as many red as possible as this makes the best coloured syrup. My roses made approx 3 loosely packed cups. 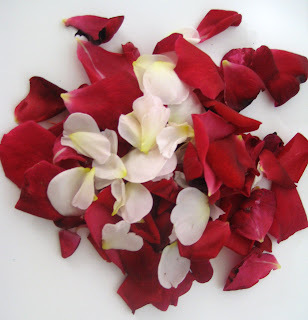 Carefully wash petals and add to a small saucepan with 1 cup water and 1 cup sugar. 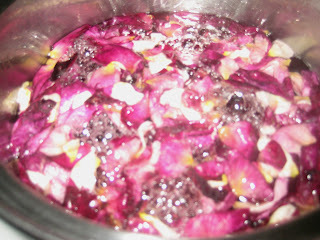 Bring to boil and then reduce to simmer for 10 minutes. Leave to steep for 20 minutes until cool. 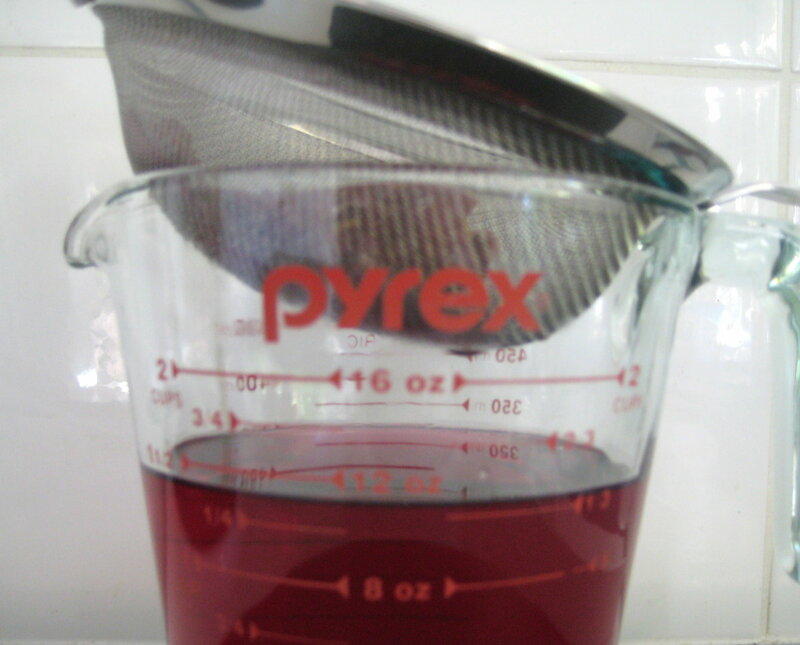 Strain through a fine sieve and then mix in 1 tablespoon (US 1 Tbsp plus 1 tsp) of rosewater. 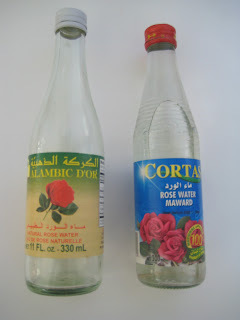 Rosewater available through deli's or specialty food stores. 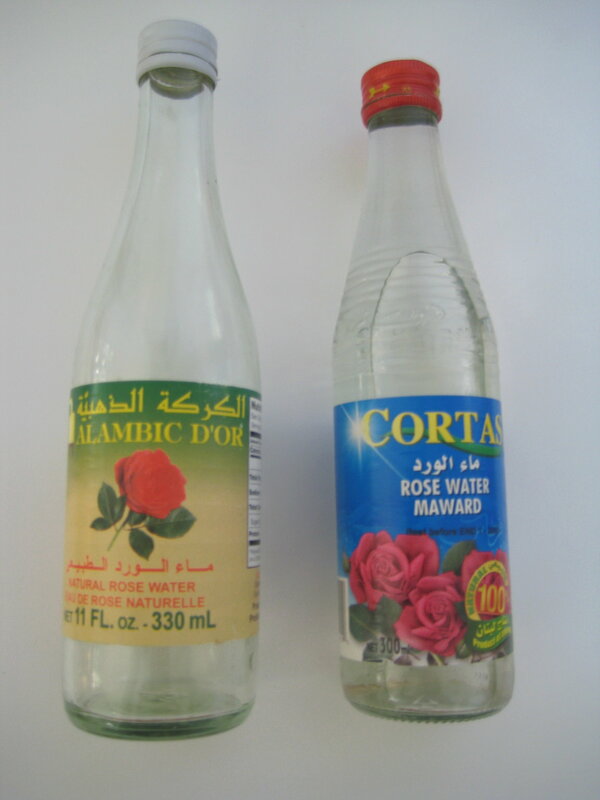 When ready to use add to 2 litres of water, sparkling mineral water or lemonade (clear soda) or to taste. 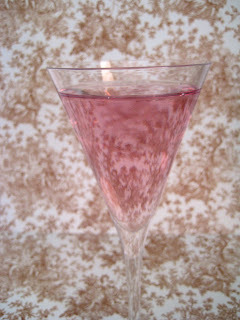 This drink looks pretty served in a jug with ice cubes that have been frozen with petals, small edible flowers or berries.